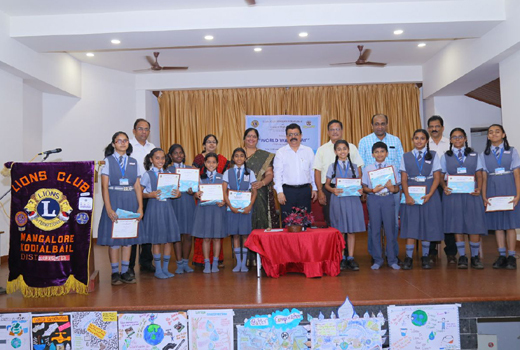 Mangaluru, March 22, 2018: Lions Club of Mangalore Kodialbail in association with Canara High School CBSE organized a poster competition to observe World Water Day. The theme for 2018 is ‘Nature for Water’. 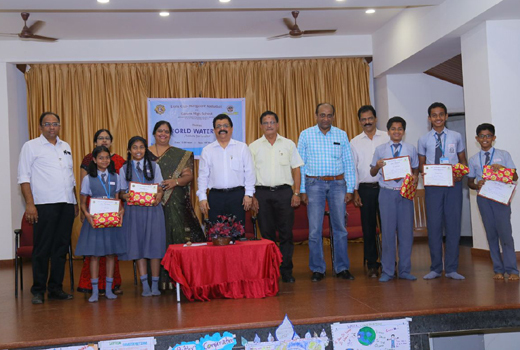 Though World Water Day is officially observed on 22 March, the poster competition and prize distribution were held a few days earlier in view of the final examinations. First Second and third prizes were distributed for the winners of the poster competition along with two runners up prizes. Shivananda Shetty and Dr. Bhagya B. Sharma were the in-house judges. Mahesh Nayak, Executive Editor of Mangalore Today was invited to be the external judge. 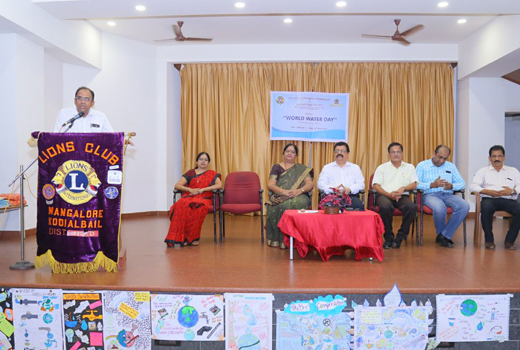 S President of Lions Club K. Sudhakar Alva, Secretary Karunakar Shetty, Zone Chairperson Balakrishna Sharma and other members of the club were present for the prize distribution programme. School principal Joy J. Rai spoke on the importance of water in our daily life. Balakrishna Sharma stressed on the need for water conservation. Mahesh Nayak enlightened the students regarding on using creativity and imagination. 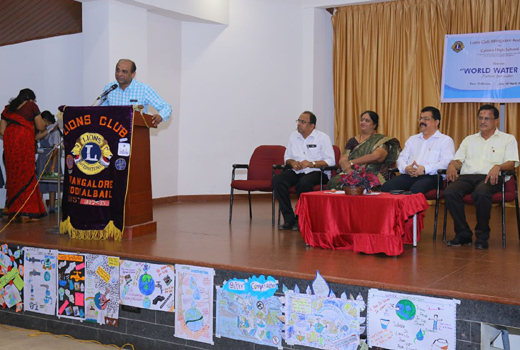 Sudhakar Alva spoke on the activities of Lions Club has been doing for environmental awareness and service activities related to construction of rain water harvesting. Dr. Bhagya B. Sharma, who also co-ordinated the competition, welcomed the gathering. 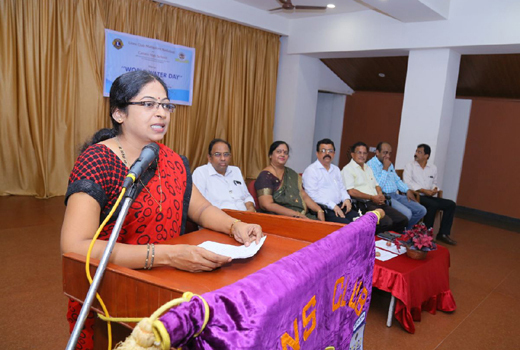 Mrs. Parvathi M. V., Teacher rendered the vote of thanks. Student Thanvitha compeered the programme.